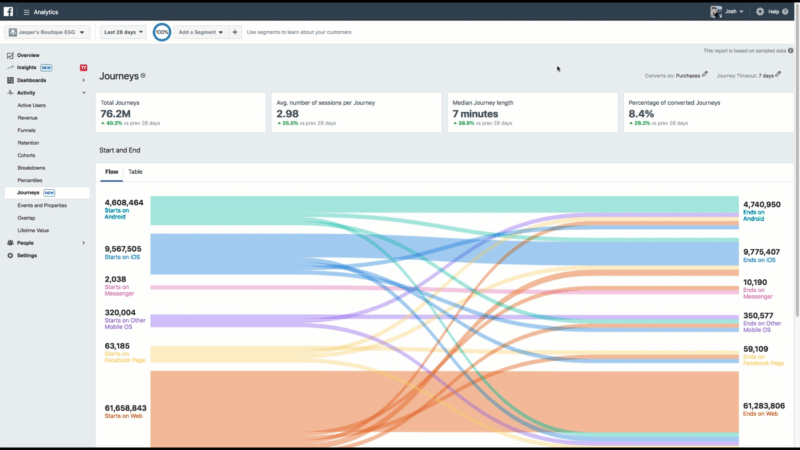 Facebook introduced new analytics features — including a tool to track customer journeys through multiple channels — on Tuesday at its F8 developer conference. Journeys is the most notable addition to Facebook’s currents analytics tools. It provides omnichannel data and reporting, so marketers can see what users are doing right before they take an action that results in a conversion. … as we work to build the future of analytics, we take our responsibility to keep people’s information safe seriously. We carefully built this product to protect people’s privacy. That’s why the insights we report are aggregated and anonymous; and don’t contain individually identifiable information, like emails and phone numbers. 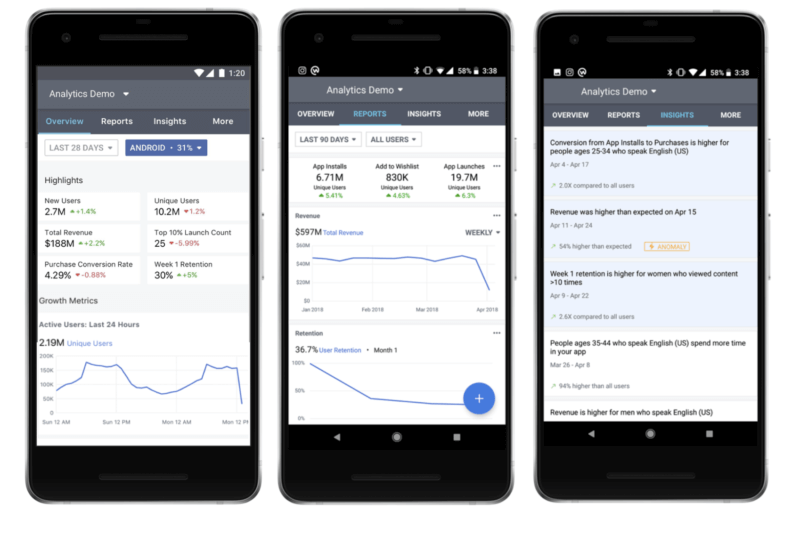 As Facebook Analytics evolves, we’ll make sure it’s in ways that work well for both people and businesses. Facebook continues to reel from increased scrutiny and criticism in the wake of allegations that it provided users’ personal information to data firm Cambridge Analytica, which was then used to influence voters in the 2016 US presidential campaign. Facebook’s new analytics can auto-detect sales funnels using machine learning algorithms across channels, which enables marketers to “identify friction in your marketing and product experience, and uncover opportunities to optimize for conversions faster.” The enhancements will also provide insights gleaned from both auto-detected and user-created funnels. The company is also adding to the automated insights it introduced last year to help marketers discover unusual patterns and correlations faster. Facebook has also launched a Facebook Analytics mobile app, pictured below.